Every Tuesday began with a wintery riverside walk from Embankment to Bankside to work with an early modern treasure trove of books and archival material at Shakespeare’s Globe. The vast spectrum of material that I was exposed to fed my intellectual curiosity as an early modern theatre enthusiast! Each week would be completely different. One week I’d analyse stage movements in Outside In performances, where a production originally performed on outdoor stage at the Globe was performed inside at the Sam Wannamaker Playhouse. Another week, I’d be researching costume designs, and in another I’d research early modern lighting. Working on the winter season, Wonder Noir, at the Sam Wannamaker I worked quite heavily on Webster’s challenging The White Devil. When it was originally performed in 1612, it was not received well and Webster blamed the ignorance of the audience and the wintery lighting for its poor reception. Analysing the idea of voyeurism in the play, I traced the sordid and blackened world of a distorted Jacobean reality and wrote press tweets and researched for synopses of the play. One of my projects was to produce a Christmas blog. Working to a set deadline and with a range of archival material, I focused upon the cancellation of Christmas in the mid-seventeenth century. The blog proved to be popular through its many re-tweets and re-posts upon social media most likely because it presented a world that is quite the antithesis to modern day Christmas time. I mean, can you imagine being thrown into prison for having a festive tipple whilst putting Christmas decorations up? The internship allowed – and demanded, in a way – an investigation of very different materials. Whether that would be stage production documents or prop illustrations, each week required that I work to a tight deadline: a challenge but a motivation. I have developed a range of skills that will only serve to steer and inspire my research in my current MA, and as I embark upon a PhD later this year. 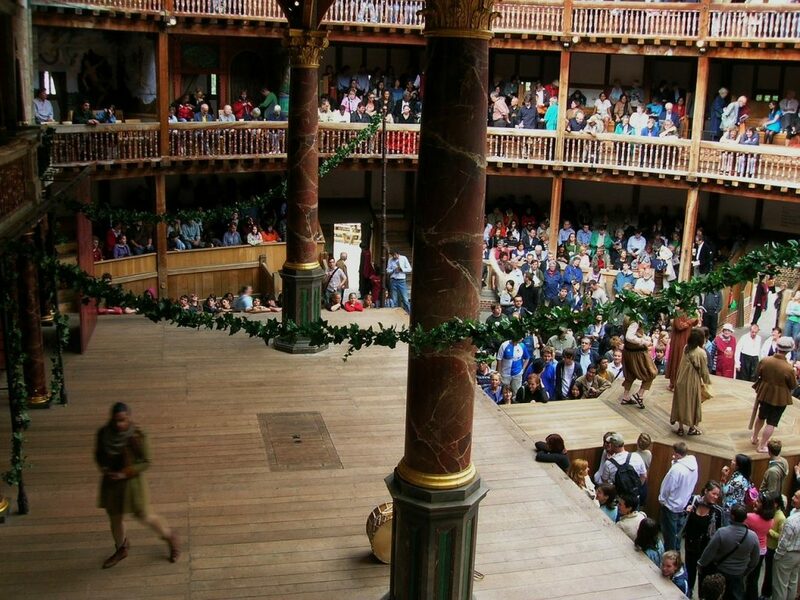 Category: Arts Tags: Globe, Renaissance, Shakespeare, theatre by Bryony.